Commercially Winesap was eclipsed during the 20th century by varieties such as Red Delicious, and to some extent by one of its own offspring Stayman (Stayman's Winesap) which has many of Winesap's qualities but a sweeter flavor. However it remains a respected and popular garden apple tree, with the additional advantage of having blossom that is unusually red by apple standards. The photo on the front page for this must have been taken in UK, for the true Winesap here in WA, USA, is red on red, with bright yellow if a leaf lays against the skin. Not to be confused with Stayman, a seedling of Winesap, with twice the size and half the taste or flesh color. Big flavor, of a different sort than Margil or Suntan. I planted a Winesap, (think it might be the Stayman), 42 years ago. I am in NE Oregon at 3,000 feet elevation. Shady site, clearing in the woods, fairly high up on the foothill of a 5,600 mt.. it fully ripens about 70% of the time. When it does it definitely has a Pomegranate overtone! Most refreshing! Today was my first taste of a Winesap. I find them at the co-op in Las Cruces, New Mexico for $3.99/lb. Price means nothing when I'm buying natural/organic/heirloom. Especially that it's something I've never tried. The smell had me hooked immediately. I'm eating one fresh right now and based on what I've read here, I'll make myself a little apple pie next. I love them now! There aren't too many apple varieties down here in the southwest so I envy you northeasterners. Anyone out there want to trade for quince?! ?? Another annual visit to York SC for late summer apple picking after Labor Day. Love the Wnesap for its firmness, and tart and juicie flavor characteristics. Being from the northeast, I'm used to multiple varieties to select from. I'm confused, none of the winesapes from Virginia look like the one pictured! They are bright vibrant red mixed with a deep maroon color and white spotting. A very good looking apple! They make incredible cider. I have been able to get Winesap and Northern Spy Apples at a Girard Penna Orchard. Both are my favorite old time fall apple. Both are getting hard to find locally as people want "red apples". NO better memory of this beautiful variety than picking and eating winesap apples after a tough football game. These were old trees that were left over from the farm my suburban tract home was built on. Laying on the ground or picking from the tree,they were the best. A flavor and juicy delight I will never forget. 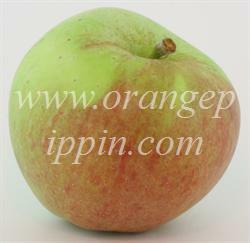 The Winesap is is one of those classic apples that is becoming difficult to get. A pity because what sets them apart from the travesties pushed on us in supermarkets is the rich depth of flavor. Heirloom apples like Winesap have a spiciness that modern apples lack. Needless to say they work beautifully in pies and tarts. The apple is also fantastic as a snack (esp. if you love the developed flavor of good apple cider), but will spoil you forever once you've tasted one. While I still think Jonathan is the best apple ever, the Winesap comes pretty darn close and I snap either up whenever I can find them. This flavorful old variety is getting hard to find in eastern Massachusetts. Love it out of hand, but would like to get enough to make cider. At the risk of redundancy, this was my childhood favorite, and remains one of the best apples to my experience so far. My buddy who owns the tree I have eaten from for half of each of the past two years is selling his house, so now I must get scions for grafting. This apple makes fabulous sauce, pies, crisp and I can only imagine the juice if squeezed! Judy, Central Market in Dallas has Winesaps when they're available, which I believe I was told is mid November. Another option with the pie would be to take the Alton Brown approach, toss the apples in some of the sugar used in the filling and let them drain in a colander for an hour and a half or so, this will prevent them from watering down your pie and the drained juice can be reduced and spread on top of the pie crust for a wonderful apple caramel coating. To the person that struggled with the juice in the pie pan issue - I too am a Jersey resident, and Winesap apples are THE apple for me. AFter many years of struggling with the juice issue in the pies, I saw a cooking show that said to saute the apples lightly in butter for about 5 minutes to cook off the extra liquid. To this day, I have never had a soupy pie. Try it! I have lived in Dallas,TX for 9 years and have not been able to find any Winesaps. I remember eating them when I lived here 30 years ago. Does anyone know where I can find them here? Like the commentator and former Jerseyman Mr. Wes Rolley, I also await until the Winesaps are out before visiting farmers' stands. And of course, that means no sooner than early fall. Sadly, they have all become tourist traps these last few decades. It was the Winesap that opened my eyes to apple connoiseurship. In my public high school we were compelled to take a half semestre cooking class. At home afterwards I would try my hand at Betty Crocker recipe apples pies. They were always excellent with Winesaps as filling, and mine were my favorite apple pie until the farmers' stands began offering the caramel/walnut upgrade a few years ago (at $20+ a pop!). My father preferred my own to even his mother's, though she could make them quickly, in greater number, with a coal fired oven, and given whatever other constraints one might encounter in depression-era Philly. My misgiving about my pies-and by that I mean the Winesap-was the syrup that would form at the bottom of the pie. While it didn't prevent the bottom crust from crisping, it happened every time and the cookbook failed to address it. People used to suggest cornstarch or extra flour, but I wanted to avoid the pasty mess I find in the worst store bought pies. Perhaps next fall I'll try it and see what results-in a worse case scenerio, I'll deal with the syrup. Of course, I'll also experiment with wet nuts and caramel! But getting back on track, I so look forward each year to that cool weekend day when I drive alone down my favorite road, the White Horse Pike, to beautiful Hammonton to pick up my large basket of Winesaps, that I try to leave the house on an empty stomach. Immediately upon leaving the market-keeping an eye to make sure no other cars are nearby!-I lustily chomp into a large example of that treat I waited so long for! The loud crisp snap that competes with One Republic on upgraded speakers! Every time caught by surprise by the spray that fires in all directions-face, windshield, eyes-from this ultra juicy fruit! My hunger quenched first by the sweet, hot-heel followed by an acidic tart! The sun on my face, the wind in my hair! Whew!!! Winesap!!! Chomp, chomp, chomp! I will certainly regret sharing this, but this experience is so transforming and mystical for me that in my single Pagan tradition, I toss part of my apple out the window into a copse of trees to share back some of the bounty which that land had lent to me. p.s. Kudus to Faye Kane, nice read! p.s.s. Can't find much 'net clarity on the difference between colonial Winesaps and the Stayman strain! Need more scholarly disseration on the former. I just bought some Winesaps today at the Fruit Bowl in Cumberland, MD for $0.69/lb., in case anyone is looking in the western MD area. I can't wait to bake with them tomorrow. I used to wait for the winesaps to ripen before visiting fruit stands in NJ. In California now and planing apples, so I planted one. We just picked it tonight and it was so good. Planted between an Ashmead Kernel and a Chojuro Asian pear. I came here specifically to see if "Winesap" is an apple species or a name brand owned by a company that went out of business. Apparently, it's an apple species that went out of business. When I grew up in New York, in the sixties, we had a Winesap tree and I thought apple=Winesap. I only found out that there were other, inferior, kinds of apples after many years. Like those dry, mealy Red "Delicious" apples. But like so many other yummy foods in this God-forsaken used-to-be country, the REAL kind has been replaced by waxy, plastic simulations that make things more profitable for big businesses; like tomatoes, apricots, canned spaghetti. Cheddar slices and crunchy hard rolls at the Strawtown mom 'n pop corner grocery disappeared along with the store, their groceries, mom, and pop. Only the corner remains, with the Super Mart where we can buy the aptly-named American "cheese food product" and "hard" rolls that have crust as soft as the tasteless white bread inside. Well at least I found out here that other (old?) people miss Winesaps too. BTW, I'm 22. When did I turn into an old person? I look in the mirror and say WTF is THAT?? It must have happened while I wasn't paying attention. Ate this as a child in North Carolina and have been trying to find them in stores ever since. Juicy, firm and tart with a taste like no other apple. I went to the organic store tonight looking for another apple to try and wondered whatever happened to Winesap apples. Figured I would investigate. Think I will buy one and a pollinator for the yard now that I know they still exist. Consumers will have very limited choices for fruit varieties in the future unless the DEMAND goes up for heirloom and locally grown produce. Nice to know there are still winesaps grown commercially in the state. I'll have to visit those listed sites on my next trip to the Wenatchee area. In the meanwhile, a Whole Foods outlet in Seattle orders Winesaps especially for me, which I really appreciate. None of the other markets I know of in the city carries Winesaps. Hi all in WA - Orondo Cider Works (N of Wenatchee, along hwy 97) grows and sells Winesaps. I discovered them there, and they have since become a favorite of mine. Teresa: Also check into Feil Pioneer Fruit Stand on Hwy 2, E. Wenatchee (address 13073, if memory serves). They have many heirloom apples, and they might have Winesap. I went there for a first taste of Golden Nugget, Ashmead's Kernel, Hudson's Golden Gem, Lady, Calville Blanc d'Hiver, Spartan, Roxbury Russet and Karmijn de Sonnaville. Tasting the Golden Russet and KdeJ has changed my plans for the back yard! (Already growing a young Ashmead.) Hope you find Winesap. Teresa in Wenatchee area: I just helped a friend in Spokane pick his apples and I believe they are Winesap. They sure remind me of my childhood favorite. Are you growing any apples on your property and, if so, have you tried grafting? I might be able to arrange scion wood late this winter. A bowl full of these exudes a wonderful aroma in a room. You can still find them here in VA if you look at local fruit stands, farmers markets. Intense flavor. I've one planted now to make sure I can always get some. My 96 yr. old grandmother in law says they're the best pie apple. I live in the intermountain area of WA state where the famous Wenatchee apples are grown. The apple commission told me they are grown throughout this area, but when i talked to an orchardist he told me that it is rare to find anyone who grows them anymore. I miss them, the new apples coming out don't compare. I grew up eating this in northeastern Indiana (Kercher's Orchards), and they are one of my favorites. I consider the flesh a bit mealy, which I like. Tart and sweet, but not overly so. I had not had these in years - since moving away from Indiana. I live in the Los Angeles area and I recently found some from a local grower at our farmer's market: I was so happy! Pollinating others: Poor Winesap pollen will not pollinate any other apple variety.